This entry was posted in Brazos Blackberry, Uncategorized by Tina. Bookmark the permalink. There’s a picking farm only a few miles from me that has blackberries as well as peaches, and the best-ever tomatoes. They’re worried about the peach crop, because we didn’t have much cold weather this year, but the blackberries are looking good. They grow several varieties, and I was interested to read the comments about the Kiowa in the article you linked. They’re my favorites, I think, and it’s fun to know they have such a good reputation. How nice to enjoy a farm’s bounty so near to you–yum! I grow the Brazos, but wish I had some room for the Kiowa, but both have thorns, so bleeding is, or would be, the order of the picking-days. I also have some dewberries in my back garden and true to form, their strings clamor along the ground. I like to see the white flowers from a distance among the other plants. What’s nice is that “my” farmers trellis their vines beautifully, so they’re approachable from either side of the row, and easy to pick. I can’t wait! Even better! Oh, I so look forward to blackberry season–fresh off of the vine and popped into a cobbler–drool! 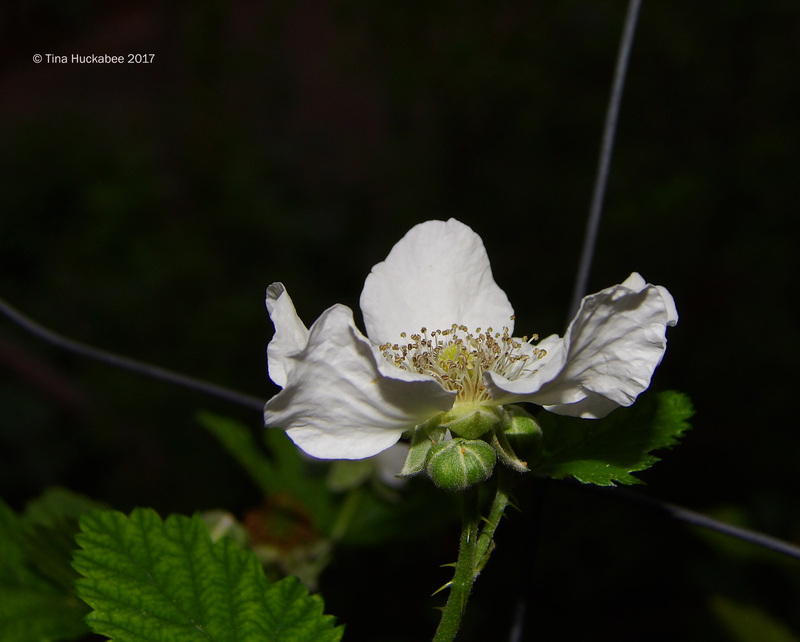 Tina the flower of the blackberry is beautiful. 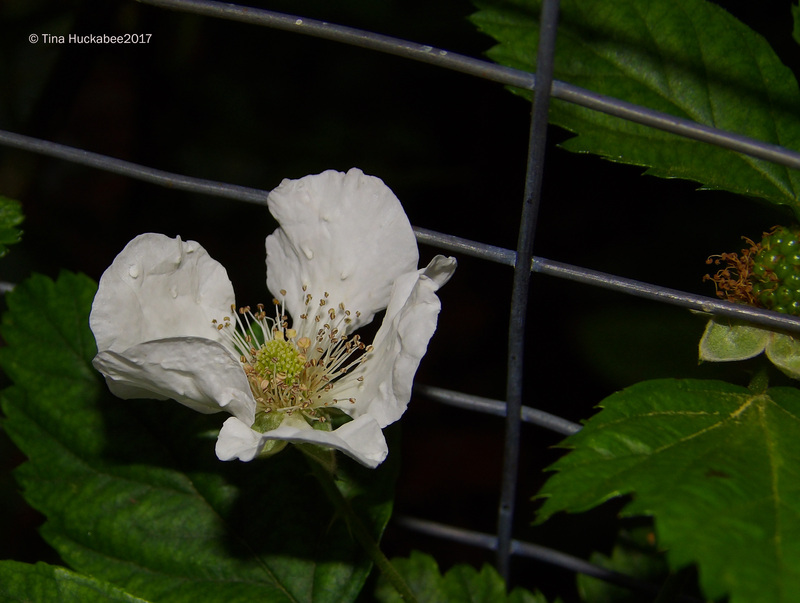 I have in my garden three that are wild and also give some beautiful flowers and of course blackberries that are eaten by my mother and the birds that do not leave one. That’s what they do! And I have to prune them to keep them in line (that there is no one to keep them at bay) because they are desmadran and flood the garden. But I love them. Greetings from Margarita. I have all the same joys and annoyances with my blackberries, Margarita. Still, they are good to eat!